With this 30 60 90 triangle calculator you can solve this special right triangle. Whether you're looking for the 30 60 90 triangle formulas for hypotenuse, wondering about 30 60 90 triangle ratio or simply you want to check how this triangle looks like, you've found the right website. 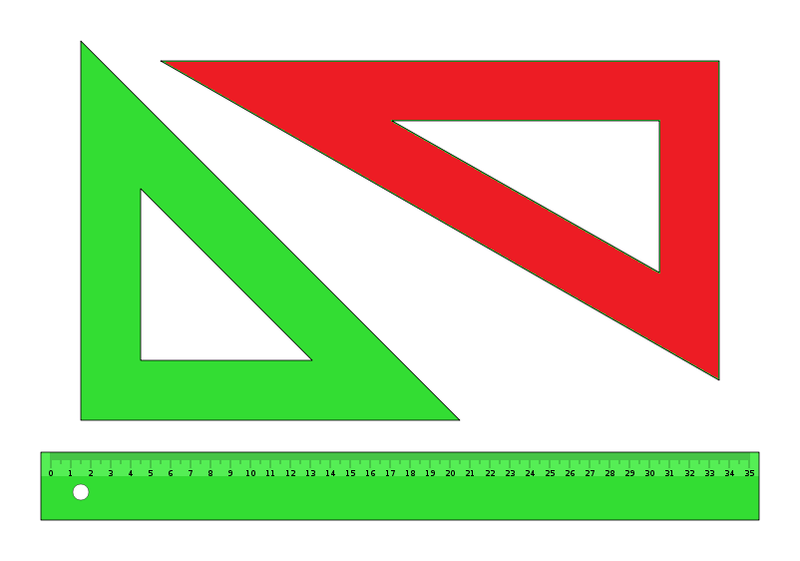 Keep scrolling to learn more about this specific right triangle or check out our tool for the twin of our triangle - 45 45 90 triangle calc. 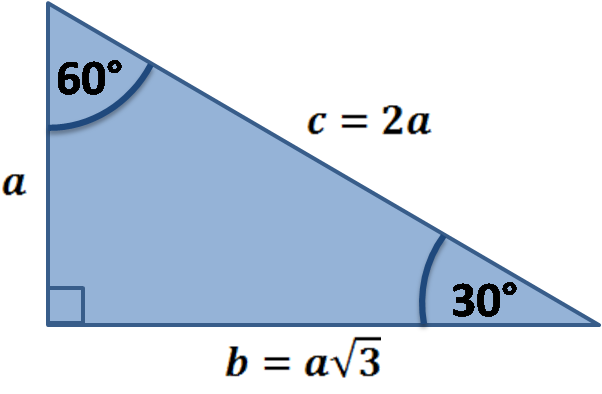 Also, if you know two sides of the triangle, you can find the third one from the Pythagorean theorem. However, the methods described above are more useful as they need to have only one side of the 30 60 90 triangle given. Or simply type your given values and the 30 60 90 triangle calculator will do the rest! 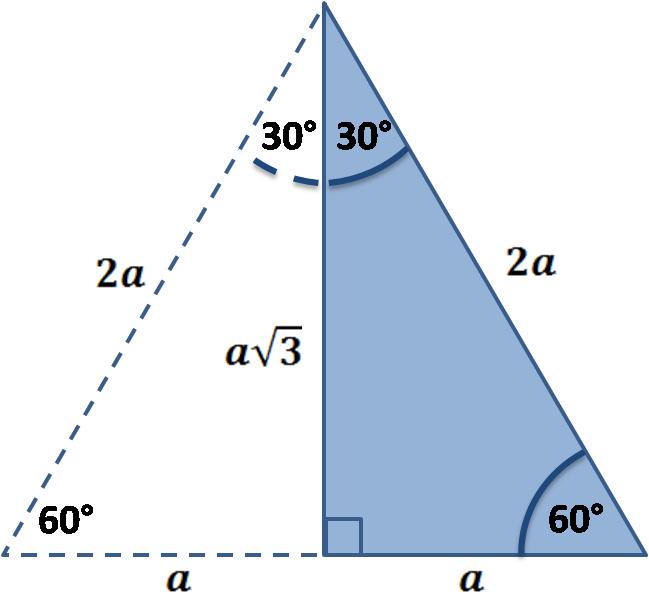 The most important rule to remember is that this special right triangle has one right angle and its sides are in an easy-to-remember consistent relationship with one another - the ratio is a : a√3 : 2a. Also, the unusual property of this 30 60 90 triangle is that it's the only right triangle with angles in an arithmetic progression. 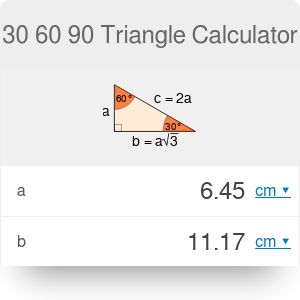 30 60 90 Triangle Calculator can be embedded on your website to enrich the content you wrote and make it easier for your visitors to understand your message.